Princeton HealthCare System and Penn Medicine sign letter of intent for future partnership. 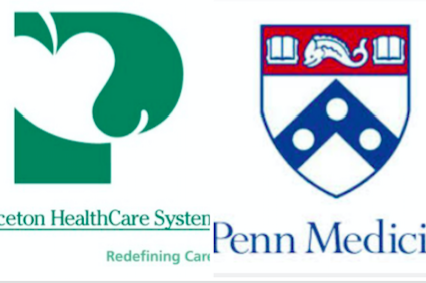 The Princeton HealthCare System (PHCS) and the University of Pennsylvania Health System (Penn Medicine) announced Wednesday that they have signed a Letter of Intent to pursue a future partnership. With a primary coverage area in central New Jersey, PHCS has been evaluating partnership opportunities with 17 potential networks since June 2015. The system includes acute care hospital services through University Medical Center of Princeton at Plainsboro, behavioral healthcare through Princeton House Behavioral Health, and a variety of other services from rehabilitation, home care and hospice care to ambulatory surgery, primary and specialty medical practices, and fitness and wellness. PHCS president and CEO Barry S. Rabner said the decision to work with Penn Medicine came from an evaluation of best fit. “Our Board of Trustees showed remarkable foresight by contemplating a shared future even as we remained clinically and financially strong as an independent system,” Rabner said. “We received considerable interest, and Penn Medicine stood out as the best fit. Now, we will focus on crafting an agreement that promotes the best interests of our patients and the community we have served for almost a century as well as our employees and physicians." Penn Medicine prevailed in Princeton's evaluation, Rabner said, because of its organizational capabilities, strong financial position and expertise in information technology. The Perelman School of Medicine consistently ranks among the top five medical schools in the United States for funding from the National Institutes of Health. The university's hospital has also been placed on U.S. News and World Report's Honor Roll for nearly 20 years. The announcement of a planned partnership is a preliminary step in a process that will last several months. Once definitive agreements have been negotiated, it will be up to another year before the organizations obtain regulatory approvals. "We are confident this partnership will enable PHCS to continue providing our patients superior access and quality close to home with the support of advanced capabilities of a healthcare system that is widely recognized as one of the country’s best."